Norman Bullock enjoyed the respect of Chesterfield’s players, despite his having only one full League season in the Manager’s chair. The son of a cotton salesman, Bullock was born in Eccles in 1900. He started in amateur football, turning pro with Bury after signing from Sedgley Park in 1920. Originally a centre-forward, Bullock made a successful conversion to centre-half in 1928 and came to spend all his playing career at Gigg Lane. He won the first of three England caps in 1923 and set records for League appearances and goals for the Shakers. During his last playing season he was groomed for the Manager’s job and this appointment was confirmed in June 1936. The Shakers struggled at the start of Bullock’s first season in charge but form turned round after the directors handed over team selection responsibility to him. The following year Bullock was given control of scouting and player recruitment. All these duties are familiar to modern managers, of course, but these were almost pioneering developments in the late 1930s. Bullock showed his mettle with some innovative tactical plans that included playing a 3-3-4 system with a deep-lying centre-forward, a generation before the Hungarians famously used a similar tactic to destroy England at Wembley in 1953. With Bury enjoying their best times for thirty years Bullock went to his board in 1938 to ask them to hand over full control of the club’s management – including financial control – to him. His chairman was supportive but the rest of the board ridiculed the idea. With his position thus untenable the chairman resigned and Bullock quickly followed. Within weeks he was installed as Bill Harvey’s successor at Saltergate. Bullock took up his post days after Harry Clifton was transferred to Newcastle, so he avoided the instant loathing that usually follows the sale of the fans’ darling for a record fee. He brought experienced and dependable forwards like Milligan and Lyon to the club while giving debuts to younger players of promise, such as Middleton, Booker, Sutherland and Ottewell. While the team quickly established a reputation for being dour it went on to finish Bullock’s first season in sixth place in Division Two - nowadays that would get you into the play-offs for a Premiership place. Bullock rebuilt substantially during the summer of 1939 but the chance to see his first “proper” team in action was lost when war broke out. 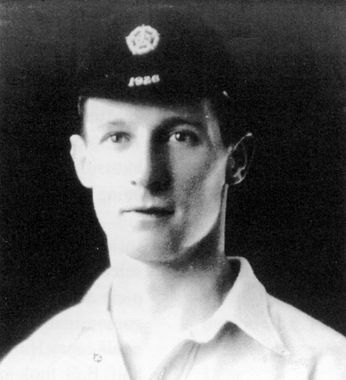 Bullock was instrumental in keeping the club going through difficult times, with restrictions on travel and mass assembly casting a huge cloud over the club, in the early years of the war. In many respects Bullock got the sort of total control of a club that he’d sought at Bury, although the circumstances were far from ideal. Chesterfield’s industrial and mining heritage saw to it that many players were placed in reserved occupations, though: the nucleus of the side stayed together and a hint of what might have been can be gained from the team’s winning the East Midlands Regional League in 1940 and reaching the semi-finals of the War League Cup in 1944-5. Back at Gigg Lane, Bury had worked without a manager after Bullock’s departure. For all his committed service to The Spireites his heart was probably still in Lancashire and when the Shakers offered an olive branch in the summer of 1945, Bullock returned. His second spell was not conspicuously successful but as his side began to turn the corner the board sold his best player from under him (to Chesterfield – hooray!) and he resigned again in 1949, moving to Leicester City. He guided them to promotion to the top flight in 1954 but they were on their way back down again when he was sacked in 1955, using alleged incidents of player indiscipline at a Whitley Bay hotel as the excuse. Disillusioned, perhaps, Bullock did not seek a similar position in football again.